As small businesses become more abundant throughout the world, organizations that help these entrepreneurs and business owners are growing in copious amounts. Deciding which of these organizations can help your business can become a time consuming and grueling task. To shorten the amount of time you spend trying to find the right one, we have compiled our list of the top 23 entrepreneur organizations around the world. SCORE is America’s premier source of free and confidential small business mentoring and advice service. More than half a million entrepreneurs rely on SCORE each year for help with fulfilling their dream of starting or growing small businesses. SCORE is made up of more than 13,000 working and retired business professionals who are committed to helping their communities thrive by providing small business owners with valuable guidance and insights, all at no cost to the client. 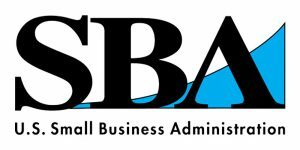 The Small Business Administration (SBA) is an independent federal agency that helps small businesses in the United States. The administration provides aid, usually in the form of loans, and counseling to assist and protect the interests of small business concerns. The SBA helps Americans start, build, and grow businesses all across the country and in U.S. territories, such as Puerto Rico, the Virgin Islands, and Guam. But the agency hasn’t always accomplished its mission. It has repeatedly been criticized for responding slowly to the needs of small business owners, especially in the wake of disasters. The Entrepreneurs’ Organization (EO) is a global, peer-to-peer network of more than 10,000 influential business owners with 147 chapters in 48 countries. Founded in 1987, EO is the catalyst that enables leading entrepreneurs to learn and grow, leading to greater success in business and beyond. EO is basically the Justice League of the entrepreneurial world. This group has it all – not only do they offer forums and personal advice on a national scale, but the organization also sponsors local chapters with their own meetings and amenities. There are even great healthcare options for members. On top of that, there are personal mentorship opportunities and huge networking events. It’s the ultimate toolbox for entrepreneurs. Vistage Worldwide, Inc. is a global organization that assembles and facilitates private advisory boards for CEOs, senior executives, and business owners. Vistage and its affiliates have nearly 20,000 members in 16 countries, representing the world’s leading chief executive organization. Vistage offers a unique combination of resources for accelerating CEO and key executive business performance, including monthly problem-solving peer group meetings; one-on-one executive coaching sessions; expert resource speaker workshops; an online best practices library; regional and international conferences; and access to a global online network of business leaders. Member companies generate nearly $300 billion in annual revenue and have more than 1.8 million employees around the world. Vistage members are more successful than their competitors and, on average, grow at three times the rate of average U.S. companies. The Young Entrepreneur Council (Y.E.C.) provides its members with access to tools, mentorship, community and educational resources that support each stage of their business’s development and growth. This organization promotes entrepreneurship as a solution to youth unemployment and underemployment. Founded by Scott Gerber, the Y.E.C. is an invite-only community of the world’s top, young entrepreneurs. 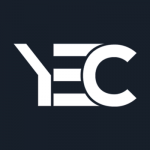 Together, we have created YEC.co to equip aspiring, young business owners with all of the knowledge and support that they need to launch successful businesses. The National Federation of Independent Business touts itself as "The Voice of Small Business." The association, which has some 350,000 members, provides discounts, networking opportunities, online discussion groups, and state and federal lobbying. It also runs young entrepreneur, legal, and research foundations. StartupNation, LLC provides entrepreneurial advice via radio program and through an online community for entrepreneurs. It offers advice on various topics, including business financing, business models, business planning, home based business, business technology, inventing, life planning, marketing, running a business, sales, and web-based business. The company was founded in 2000 and is based in Birmingham, Michigan. Your local chamber of commerce can be an excellent resource for growing your business, particularly in your immediate community. Local chambers work to link small businesses by facilitating interaction and support within regional areas. Community chambers also help small-business owners connect with the more than 7,000 chambers of commerce worldwide. Meet like-minded small-business professionals through this global social-networking group. 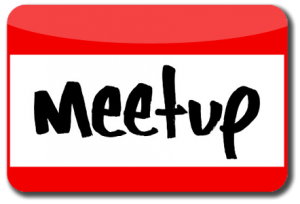 Meetup connects entrepreneurs online so they can ultimately connect in person. Simply plug in your ZIP code to find a group in your area. With get-togethers happening in more than 1,100 cities, chances are you'll find a relevant event happening near you. 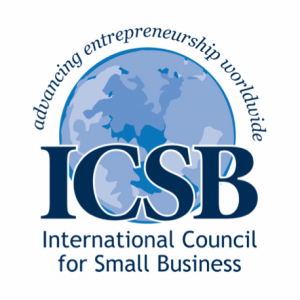 The International Council for Small Business is a non-profit organization devoted to continuing management education for entrepreneurs and small business. The Council was founded on the belief that enlightened small business management is necessary for successful, profitable small business, that successful small businesses are essential to our national economies, and that entrepreneurship needs to be fostered to stimulate a dynamic and growing economic system. FoundersCard, started by Eric Kuhn in 2009, is the first membership community designed specifically for entrepreneurs and innovators. This is an organization has over 15,000 members who enjoy generous networking events and many discounts are provided. For example, FoundersCard offers members discounts on travel expenses, business products and services, and even VIP benefits to improve your lifestyle. The lifestyle benefits include discounts on vehicles, fashion, and fitness brand products. The global invite-only events are a great way to network with like-minded entrepreneurs. 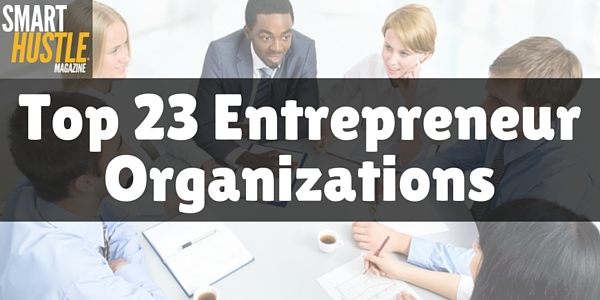 #Entrepreneurs, check out this list of the top 23 entrepreneur organizations for #business help. In 1997, six seasoned entrepreneurs met in Seattle to plan the first ever gathering of social entrepreneurs. 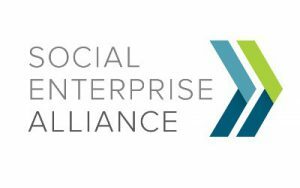 The first event took place from November 12-15, 1998 in Colorado Springs, and SEA has been providing entrepreneurs with resources and networking opportunities ever since. Members receive subscriptions to a monthly newsletter, GrantStation Insider, and extensive webinar series. Other benefits include access to forums, the SEA Knowledge Center, consultation services, and networking opportunities at chapter events. Startup Grind is a global startup community designed to educate, inspire, and connect entrepreneurs. Each monthly event, hosted in over 185 cities and 70 countries, features a successful local founder, innovator, educator, or investor who shares their story and the lessons they learned on the road to building a great company. These events provide networking opportunities with amazing startups and local entrepreneurs and give entrepreneurs inspiration for the startup journey ahead. 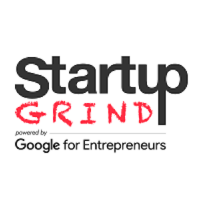 Founded in 2010, Startup Grind has become “the global leaders in Startup Events.” Over 100,000 Entrepreneurs have attended Startup Grind in the past years. It's now in 150+ countries with over 100 events going on each month making this one of the largest entrepreneur organizations on the planet. They have a Startup Global Event once a year. Founded in 1985 by Ed and Darlene Lowe, the Edward Lowe Foundation aims to “champion the entrepreneurial spirit.” This foundation achieves this fantastic goal by connecting second-stage entrepreneurs with their peers through leadership programs like Economic Gardening and the PerSpectives Roundtable System. The foundation embraces the concept of "economic gardening," a unique and proven economic development strategy based on the fundamental concept that entrepreneurs drive economies. Ashoka is one of the largest networks of social entrepreneurs worldwide, with nearly 3,000 Ashoka Fellows in 70 countries putting their system changing ideas into practice on a global scale. The Entrepreneurs' Club (formerly CoolTech Club) is an international multi-ethnic network of several thousand high-tech entrepreneurs, executives and other professionals that started in 2003. TEC may not require a membership organization, but attending any of the ten or so events or seminars a year gives you the chance to network, exchange ideas with peers, or sit-in on discussions surrounding the latest markets trends. Events also include influential speakers ranging from Steve Blank to Guy Kawasaki. 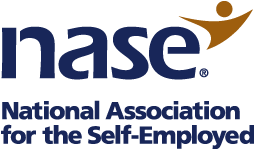 NASE was founded in 1981 by small business owners who realized they could enjoy the same economies of scale for purchasing goods and services simply by banding together. The NASE offers entrepreneurs and small business owners a wide range of resources and tools to help you run your business successfully. NASE also keeps members informed about legislative activities and provides access to resources and experts. The Dynamite Circle, or the DC, is a private community for entrepreneurs with established, successful and legitimate businesses that are not location dependent. It was founded by Dan Andrews and Ian Schoen of Tropical MBA. The DC began as a small mastermind in 2011, and still holds this as one of its primary tenants and value propositions. In addition to masterminds, members can also benefit from juntos, local community networking events, yearly DCBKK events, and more. The Forum for Women Entrepreneurs is a place for women entrepreneurs to get tough questions answered. FWE is dedicated to providing visionary women with the education, empowerment, and energy they need to become wildly successful entrepreneurs. The Programs and Events at FWE are designed to support and mentor women who are venturing into new business opportunities or ready to ramp up and grow their existing business. From start-up advice to specific tips and tricks, FWE leaders, advisors, and business professionals are ready to share their expertise. Founded by Christina Anthony in 2002, FWE has been encouraging, educating, and mentoring women entrepreneurs for over a decade. With 140+ E-series program participants, 500 mentees partnered with mentors through the HSBC Mentor Program, and a growing list of programs and events offered throughout the year, the team at FWE, along with its members, continues to see success. The mission of the NBBC is to be a catalyst for the creation and development of black-owned businesses. The purpose of this effort is to foster the growth and networking of black businesses, the rebirth of black communities, and the achievement of black professionals. Startup Canada is a grassroots network of entrepreneurs working together to build an environment for entrepreneurship in Canada. Through online platforms, grassroots Startup Communities, and cross-sector initiatives, Startup Canada is advancing entrepreneurial momentum and a culture of entrepreneurship, as the voice of Canadian entrepreneurs. Founded in May 2012, Startup Canada has quickly become the most recognized, energized, and active entrepreneurship organization in Canada. Startup Canada has mentored more than 20,000 Canadians and has grown to represent more than 80,000 entrepreneurs, 400 enterprise support partners, 300 volunteers and 20 Startup Communities from coast to coast. Globally, Startup Canada is recognized as the best practice in fueling grassroots entrepreneurship and has educated leaders in the United Kingdom, Malaysia, South Korea, South America and the United States. The Indus Entrepreneurs (TiE), was founded in 1992 in Silicon Valley by a group of successful entrepreneurs, corporate executives, and senior professionals with roots in the Indus region. There are currently 13,000 members, including over 2,500 charter members in 61 chapters across 18 countries. TiE’s mission is to foster entrepreneurship globally through mentoring, networking, education, incubating, and funding. Dedicated to the virtuous cycle of wealth creation and giving back to the community, TiE’s focus is on generating and nurturing our next generation of entrepreneurs. Collegiate Entrepreneurs' Organization is a well-respected national membership organization that strives to propel students into entrepreneurship, social and professional spheres of power worldwide. Their mission and vision is to provide student entrepreneurs’ with opportunities, events, chapter activities and conferences to help them start businesses. In 1970 a new and exciting field of study in business and higher education was implemented in universities as entrepreneurship. In 1997, the Collegiate Entrepreneurs’ Organization was launched to inform, support, and inspire students to be entrepreneurial and seek opportunity through enterprise creation. CEO National currently supports entrepreneurship on over 200 chapters in over 43 states. When it comes to finding the help you need with your small business, who you choose is critical. Whether you’re looking for a networking group, someone to help you with funding, or just a group to provide education and advice when needed, any of these organizations can help. So, take your time and explore our top 23 entrepreneur organizations to find the right one for your needs.